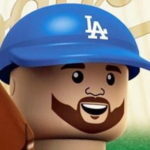 On this episode of “Dugout Blues,” Jared Massey (Dodger Blue) and I are back after a mini-hiatus because almost nothing has happened. But there were finally a few things to come down the pipe, so here we go. The Dodgers still haven’t announced the deal, but they have come to an agreement with Cuban right-hander Yaisel Sierra. It’s a relatively low-risk move for a team not afraid to spend on the international market. Another couple low-risk deals were announced in the form of Joe Blanton(!) and Brandon Beachy. Blanton is going to be a reliever while Beachy is just looking to bounce back after his first season following his second Tommy John surgery. We touch on the Dodgers’ infield depth concerns, the Hall of Fame inductees (Ken Griffey and Mike Piazza) and one of the best acquisitions of the offseason in Alex Anthopoulos. Some say there might be too many opinions in that front office. I’m of the opinion there can never be too many opinions, points of view and overall talent by those who make the decisions. Some prospect talk: Julio Urias (1), Jose De Leon (5) and Cody Bellinger (6) all crack the MLB.com Top 10 prospects at their respective positions. Finally, we clear the backlog of questions by giving you our answers. Thank you for the inquisitions.